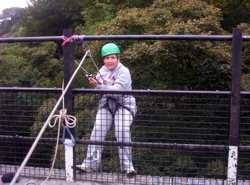 My name is Carol, I am 42 years old, have 3 children and live in Sheffield. I was diagnosed with Pancreatic cancer in January 2001, where I underwent surgery, with everything going well. I still have 6 monthly check up at Western Park Hospital. 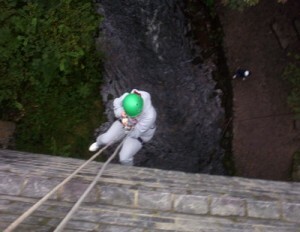 Following a school residential in 2004 to Lockerbrook where I missed out on the chance to do an abseil, I have been keen to try, wonder what it would be like. 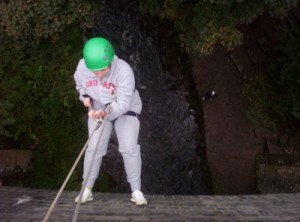 On the day I was apprehensive, a little frightened, but very excited about doing the abseil. 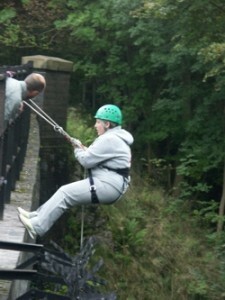 I am glad I did it, I can now put into words my feelings as I stepped over the edge of the bridge. Half way down I started to relax a little, and just enjoy the thrill. I enjoyed it so much I did it again, twice. I would like to thank Challenge Cancer for giving me the opportunity to experience something that I thought I would never do.